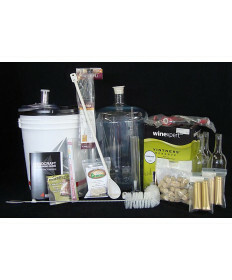 In order to make wine at home you'll need the right equipment. 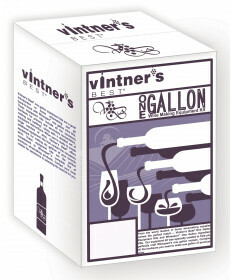 Luckily for you, Grape and Granary has all your needs covered. 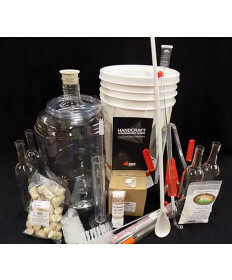 Our selection of comprehensive winemaking equipment packages below offer everything you will need to get started making your own wine in no time. 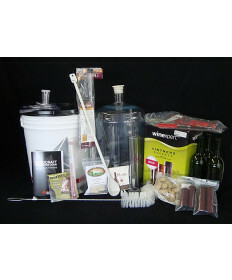 With options ranging from standard kits for those with some essential pieces of equipment already, to deluxe packages for those who need every piece of equipment from the start of the process until the point you are pouring your wine to enjoy, you will find exactly what you are looking for here. 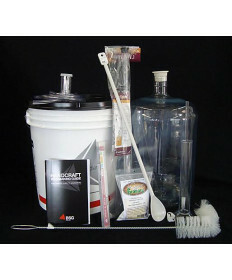 Our deluxe winemaking equipment packages are comprehensive kits including every piece of equipment you need throughout the entire winemaking process. This includes such things such as a Portuguese hand corker, corks, wine bottles, bottle labels, and more that you won't find in the standard packages. 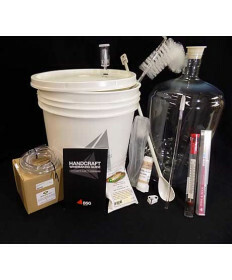 Once you have decided on an equipment package make sure to pick up a winemaking ingredient kit or concentrate to get the process started with. If you have any questions don't hesitate to contact us!